Jindi Cheese was started in 1985 and it's another one of our all time favourites - located in Gippsland, here in Victoria, in the town of Jindivick. 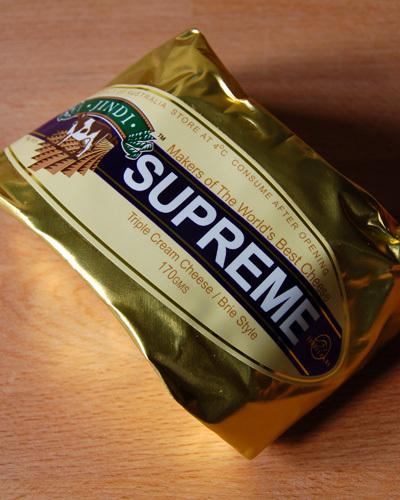 Through the years they have achieved international success, the most recent being the 2004 award for the Worlds Best Brie. As the name suggests, Triple Cream, this is quite a rich and luscious cheese and requires an average 35% fat content. The milk is sourced from predominately Jersey cows. 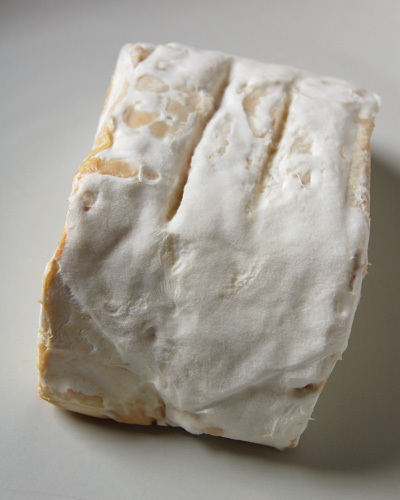 The cheese is shrouded in a soft white mould and maturation time takes about 5-6 weeks. A look inside and you are rewarded with a intense buttery cheese with an eye-catching golden hue. You don't just eat this cheese, it melts in your mouth. 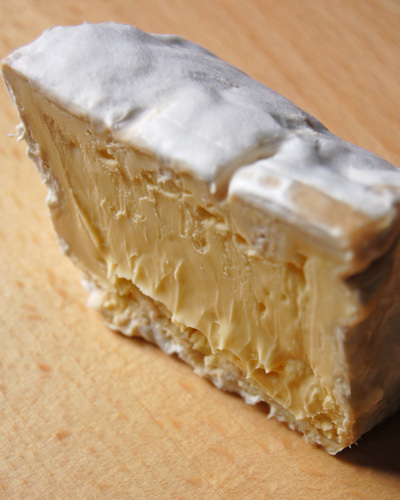 If you are fond of brie and Camembert, then this is a cheese you must try.